Let’s take a look at the tax changes announced in the Federal Budget that will affect your small business and your accounting software. In welcome news for small business in Australia, the government will provide $300 million over two years from 2017‑18 to establish a National Partnership on Regulatory Reform (NPRR) with the States and Territories to remove regulatory restrictions on small businesses and competition. Under the NPRR, the Commonwealth will provide payments to State and Territory governments for the delivery of reforms that drive Australia’s economic performance and living standards, with a focus on small business regulatory reform. What are the ATO individual income tax rates for 2017-18? The Government will increase the Medicare levy by half a percentage point from 2.0 to 2.5 percent of taxable income from 1 July 2019 to make sure the National Disability Insurance Scheme (NDIS) is fully funded. As an employer, it’s important to be using the most recent tax scales to make sure your employees are paying the correct tax rate. An income earner with a HELP debt will use a different tax table to calculate their payment correctly. MYOB has this covered. The Government will be revising the income thresholds for repayment of HELP debt, repayment rates and the indexation of repayment thresholds from 1 July 2018. A new minimum threshold of $42,000 will be established with a 1 percent repayment rate and a maximum threshold of $119,882 with a 10 percent repayment rate. Remember, you need to use the most recent tax scales to make sure the amount of tax withheld is correct. To do this, use the latest version of your accounting software, so you can spend your valuable time in your business instead of in your bookwork. What is the compulsory superannuation guarantee rate? The superannuation guarantee rate has not changed from the current 9.5 percent rate. Paying super and staying on top of ATO superannuation guarantee is easy with MYOB accounting software. Are there any caps on extra super payments? The government is encouraging home ownership for first home buyers by allowing future voluntary contributions to superannuation made from 1 July 2017 to be withdrawn for a first home deposit, along with associated deemed earnings. Under the measure, up to $15,000 per year and $30,000 in total can be contributed, within existing caps. As previously announced, employees will be able to contribute up to $100,000 a year to top up their superannuation from after-tax income until their superannuation reaches a limit of $1.6 million. Do I still need to be SuperStream compliant? There have been no changes to SuperStream. As an employer, the most important thing for you to know is that SuperStream’s introduction on 1 July 2016 isn’t an option or a guideline – it’s the law. You can be SuperStream compliant by using MYOB online accounting software. MYOB is certified by the ATO as SuperStream compliant. What are the changes in PAYG reporting? Single Touch Payroll (STP) is an initiative aimed at streamlining business reporting obligations to make it easier for employers to report PAYG obligations to the ATO. It will soon be mandatory for large businesses (>20 employees) to lodge their PAYG obligations at the completion of every pay run. Large businesses will need to be STP compliant by 1 July 2018. Although there is no legal obligation, employers can begin to report through Single Touch Payroll from 1 July 2017 as payroll solutions become available. Employers with greater than 20 employees must be STP compliant by 1 July 2018. To determine if employers are required to report Single Touch Payroll, employers will need to undertake a headcount of their employees on 1 April 2018. Employers with 19 or fewer employees can choose to adopt Single Touch Payroll reporting as updated payroll solutions become available. For those businesses impacted by these changes MYOB is committed to producing STP-enabled solutions in advance of the 1 July 2018 deadline. What is the Skilling Australians Fund levy? Following on from the cancellation of the 457 visa, effective from March 2018, businesses that employ foreign workers on certain skilled visas will need to pay a levy that will provide revenue for a new Skilling Australians Fund. Businesses with turnover of less than $10 million per year will be required to make an upfront payment of $1,200 per visa per year for each employee on a Temporary Skill Shortage visa and make a one-off payment of $3,000 for each employee being sponsored for a permanent Employer Nomination Scheme (subclass 186) visa or a permanent Regional Sponsored Migration Scheme (subclass 187) visa. Businesses with turnover of $10 million or more per year will be required to make an upfront payment of $1,800 per visa year for each employee on a Temporary Skill Shortage visa and make a one-off payment of $5,000 for each employee being sponsored for a permanent Employer Nomination Scheme (subclass 186) visa or a permanent Regional Sponsored Migration Scheme (subclass 187) visa. What are the changes to employing foreign workers on Working Holiday Visa “backpacker tax”? No further tax changes were announced to employing foreign workers on Working Holiday Visa. But if you employ, or have employed people on Working Holiday Visa (subclass 417) or Work and Holiday visa (subclass 462), new taxation rules came into effect on 1 January 2017. A new tax scale was introduced from 1 January 2017 where 15 percent should be withheld from every dollar earned by a working holiday maker up to $37,000 with foreign resident tax rates applying from $37,001. If employers currently employ, or are likely to employ working holiday makers, registration is required with the ATO. Working holiday makers who earned income between 1 July and 31 December 2016 and continue earning income up to 30 June 2017 will require two payment summaries. This is an ATO requirement due to the tax change introducing two separate rates of taxation within the same financial year. What are the changes to Fringe Benefit Tax (FBT)? Institutions covered by Section 57A of the Fringe Benefits Tax Assessment Act 1986 have changes to how fringe benefits are reported on payment summaries. If 57A applies, you need to report the benefits that fall under that section on the payment summary, and show other reportable fringe benefits provided to the employees separately. The latest versions of MYOB online software take care of the above scenarios. Has anything changed with BAS payments? Small businesses will benefit from simplified BAS reporting requirements. This is also called Simpler BAS, aimed at reducing the amount of GST information required for BAS to simplify GST bookkeeping and reporting requirements. A simpler BAS will give small businesses time and cost savings by simplifying account set up, GST bookkeeping and BAS preparation. Businesses will be able to more easily classify transactions and prepare and lodge their BAS. The requirement to report Export sales (G2), other GST-free sales (G3), Capital purchases (G10) and Non-capital purchases (G11) will be removed. Has anything changed with GST payments? Small businesses with an Australian turnover of $75,000 or more in a twelve-month period continue to be required to register and charge GST. New reforms apply from 1 July 2017 for overseas businesses with an annual turnover of $75,000 or more. 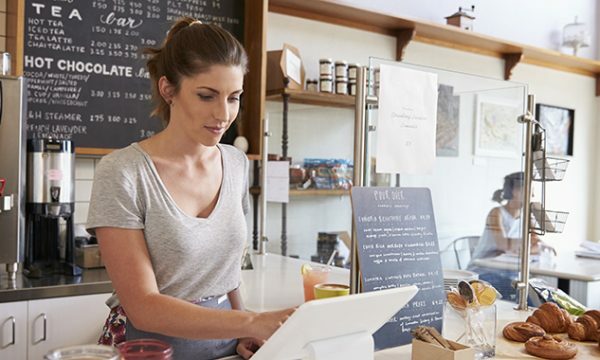 These businesses will be required under Australian law to register with the ATO to collect GST on all goods sold, including purchases under the current low-value threshold of $1000. Your up-to-date MYOB software takes care of all your BAS and GST needs. From 1 July 2017, purchases of digital currency will no longer be subject to the GST, allowing digital currencies to be treated just like money for GST purposes. Currently, consumers who use digital currencies can effectively bear GST twice: once on the purchase of the digital currency and once again on its use in exchange for other goods and services subject to the GST. Are there any changes to the Taxable Payments Reporting System (TPRS)? The Government will extend the Taxable Payments Reporting System (TPRS) to contractors in the courier and cleaning industries. The measure will take effect from 1 July 2017. Has the instant asset tax write-off been extended? If you’re a small business owner, the $20,000 instant asset tax write-off, introduced in last year’s budget, is being extended for another year to 30 June 2018, and will be open to businesses with an annual turnover of up to $10 million, up from $2 million. Further support will be provided for small businesses to expand and create jobs. 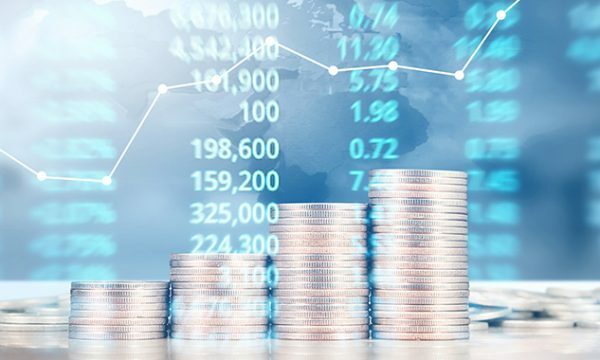 Access to a number of tax concessions will be provided by increasing the threshold for these concessions to $10 million, up from the current $2 million threshold. These changes will benefit over 90,000 businesses. READ: Federal Budget 2017: What do accountants want? Update your accounting software to use the latest tax tables. Set up your employee details correctly ie. select the correct tax-free threshold in your accounting software. Stay SuperStream compliant by using the super portal. Be aware of Single Touch Payroll initiatives. Be aware of Simpler BAS initiatives. Check whether you can now take advantage of the tax allowances listed above. If you have MYOB accounting software, upgrade your accounting system and start enjoying the benefits. If you don’t use accounting software, make sure you stay compliant with the latest tax changes by subscribing to MYOB here.